Hotels, hospitals, and anyone who needs their business to be a bit more hospitable will appreciate the selection of luggage and garment racks, various stands for belongings, bathwares, and housekeeping items featured here. Hotel bathrooms and hospital bathrooms combine hospitality and safety in their bathrooms, especially high fall risk places like the shower. With a shower grab bar, shower slide bar with a handheld shower head, shower seat, and shower rod, the shower is safe to use for all ages. Keep hair out of the drain and save on plumbing costs with a shower drain cover. Laundry mats, hotels, and hospitals accumulate a lot of laundry and need a place to contain it all. Laundromat carts and multiple laundry hampers with foot pedals keep linens off the floor and safely contained for washing. Linen carts keep clean linens ready to use and off the floor. Hotels, hospitals, and homes should discover the convenience of a coat rack to keep track of coats and keep common areas neat. Wall mounted coat racks for closets with anti-theft hangers are great for hotels or any closet that needs a hanging rod. 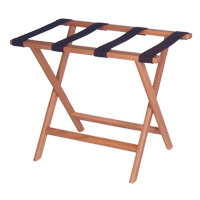 In the closets, keep a luggage rack or garment rack to keep luggage off the floor and dust or dirt free. Restaurants, bars, and clubs will find it easy to check coats and keep items in a coat locker now. Greet guests at a maitre d' stand and show off menus and specials on a menu stand that will draw people in to try your restaurant or hotel. 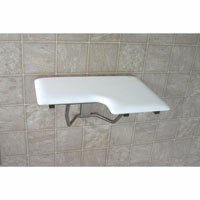 Tray stands are a professional way to serve multiple people at once or allow someone to have an independent meal. Guests and customers bring in business through word of mouth. 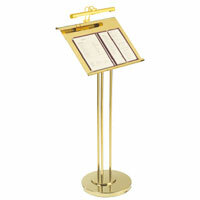 Keep them happy and comfortable with hotel and hospitality equipment to make them feel more appreciated and at home.